If you are of the jailbreaking persuasion, a interesting little app called infiniboard just popped up on Cydia that allows you to scroll your iPhone apps pages vertically. The developer, chpwn, was also involved in the popular Proswitcher application. 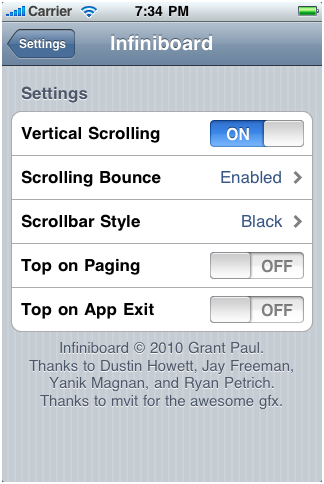 Might we see something like this in iPhone OS 4?